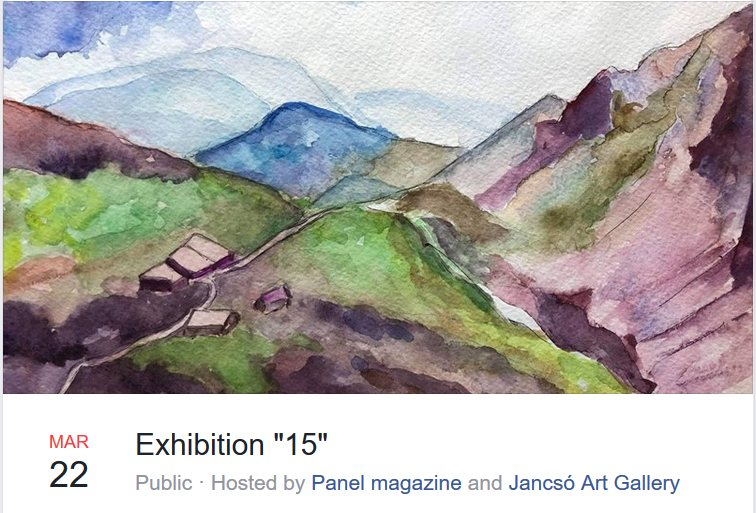 are happy to invite you all to the exhibition “15” opening. The opening will take place on March 22nd, 7 pm, at Kazinczy street, 30. The exhibition “15” is aimed to present and honor the best artworks, that have been submitted to the art contest (link) held earlier this winter. The winners of the contest get the cover of the next issue of Panel magazine (1st place) and their art illustrating the major pieces in the upcoming magazine issue (2nd and 3rd place). Along with the prizewinners works, the exhibition includes the runners up. All participants will have their works displayed in the gallery for two weeks. Spoiler alert: the art works included in the exhibition show the diversity and artistic power of Budapest and the region. Music, wine, snacks, talks are a nice bonus to what's said above. All art works are available for purchase. Make sure you save the date!